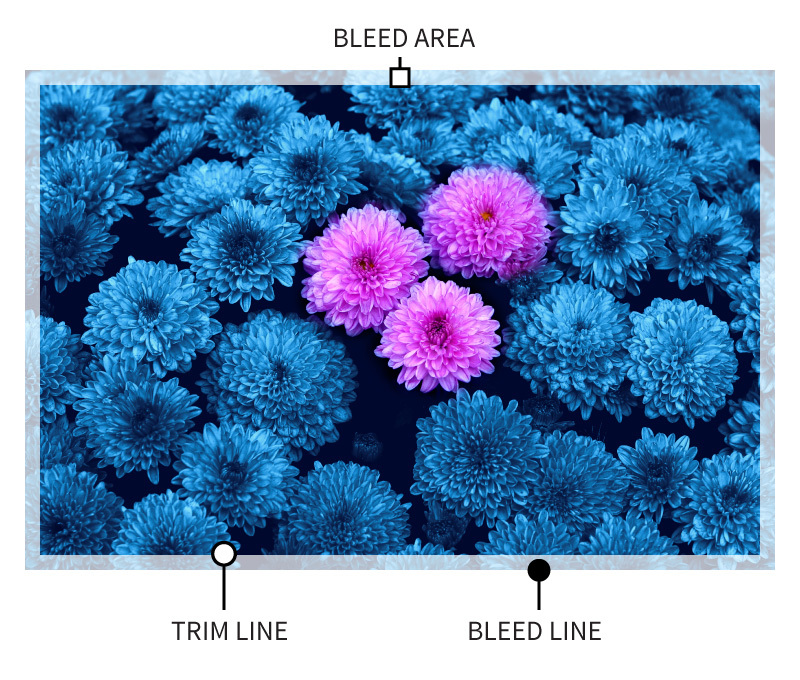 A bleed is the extension of an image, color, or any element outside the trim line of the print piece, typically 1/8” (0.125”) past the edge of the print. A bleed is created in the design to ensure that once the paper is trimmed to its finished size, the edges do not show any white paper. If a bleed is not created, and the printed piece is not cut perfectly, a white line will appear outside the image or element along the edge. In a print piece with multiple pages, such as a book or brochure, a bleed should be incorporated. After the sheets have been printed, folded, and bound, they will need to be trimmed. The inner pages will shift outward slightly due to the thickness of the paper. This is called creep or shingling. The book or brochure will need to be trimmed to end evenly.